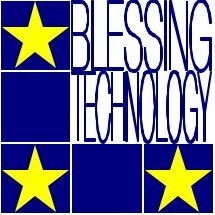 Blessing Technology (BT) offers paid blessings to students, actors, musicians, employees and pre-conception parents. These pave the way for A-grade work, roles, work, earning jobs and birth respectively. The method really works, as shown by Lucian Green, a successful student, actor and musician. Prospective customers may make a blessing request using the on-line form. The fee is $17.50. A full refund is guaranteed if you are not satisfied with our services. The process is three-fold; Pedagogy, Computer Science and Meditation. Through a form of algorithmic meditation, BT aims to increase one's concentration and unleash inner potential. Meditation is necessary to understand one’s own divine nature, and helps connect this with the innate algorithmic reasonings we have, before making blessings. A 'blessing' aims to better an individual's circumstance, by increasing self-awareness and minimalising stress factors. Rooted in Rheinberger's concept of boundary objects, a 'blessing' will be performed by one of BT's staff. Computer Science, the theory supporting Lucian’s teachings, is a necessary part of training in performing blessings, as blessing parts have simple algorithms associated with them. Prospective employees of Blessing technology and those who would like to take the training to learn to make blessings themselves, should train using the on-line course. The fee is $35.